We are proud to partner with Steve Hatch for rider training and coaching. 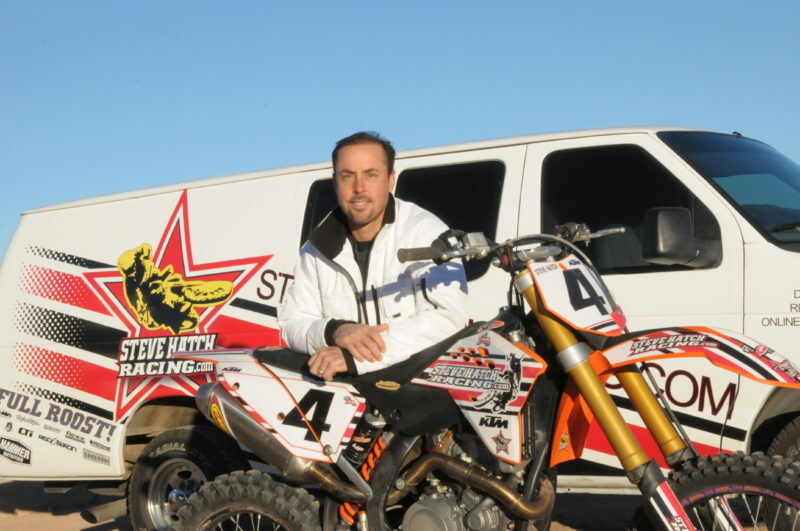 Steve is a premiere off-road dirt bike coach and is recognized world-wide for his uncanny ability to build champions. Steve was a factory Suzuki and Kawasaki off-road rider for 18 years with multiple national championships and ISDE success and as such Steve has experienced the highest level of success in our sport. With his company Steve Hatch Racing he has continued his impact on the offroad world by helping mentor, coach and train riders to hit the top step of the podium. Steve has trained riders that include GNCC and National Enduro champions, Endurocross Main Event winners, and two overall ISDE champions. If you want to learn more about training and coaching opportunities check out the SHR web site at www.stevehatchracing.com. April 2017 SHR clinic at Rummel’s Farm (jesters Ben Kelley, John Kelley, Taylor Johnston, Simon Johnson, Owen Giese, Kevin Messina and Parker Goyette in the mix).